As an industrial plant manager, even though you’re dealing with heavy machinery and lots of raw productive power, you know that your plant is actually a pretty delicate operation. If the slightest thing goes wrong, you could end up losing out on precious hours, or even days, of operating time – which could translate into big revenue losses. A plant is only as strong as its weakest link, and if you haven’t made the time to get your air filters checked out recently, there’s a good chance that your weakest link is about to snap. If it’s been a while since you’ve replaced your plant’s air filters, you need to get in touch with an industrial filter supplier in Richmond today. Your air filters don’t get nearly the attention they deserve, since they need to be able to process and filter thousands of cubic feet of air every single day. After a while, your air filter will start to get full of pollutants, and it won’t be able to do its job effectively. This means that all of the impurities that are in your air, including industrial pollutants, chemicals, dust and debris, and even mold spores, will go right past your filter and can be inhaled. A dirty air filter doesn’t just expose you and your team to harmful pollutants; it also makes your HVAC system have to go into overdrive just to move air through the ducts. This means that you’ll end up literally wasting money on heating and cooling, simply because the system isn’t operating at a high degree of efficiency. In the high-pressure business climate of today, you simply can’t afford to float any useless expenses; therefore, it’s imperative that you ensure your air filters are in good shape. This entry was posted in Uncategorized on January 30, 2017 by 11688097. When you’re in charge of managing an industrial plant, you should know the importance of maintaining high safety standards. Following proper safety protocols not only keeps you and your team safe, but it prevents the loss of revenue created by work stoppages due to accidents. 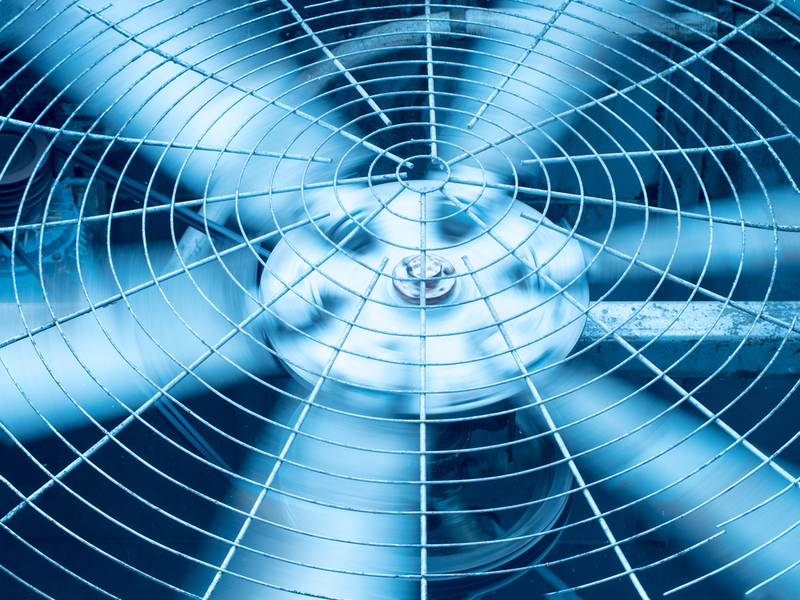 While you probably make sure to adhere to major safety standards with regards to your machinery and your personnel, you probably overlook the safety of your HVAC air systems. This is understandable, as lapses in air filtration maintenance usually don’t create the kind of high-level emergencies as other safety lapses. However, if you’re not paying attention to the possibility of internal pollution in your plant, you could be setting yourself up for some major losses down the line. 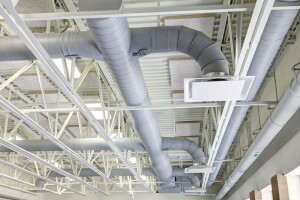 In order to make sure that your plant is operating with the highest safety standards, you need to pay serious attention to your industrial air filtration system. When your air filtration system is working properly, it’ll remove pollutants from the air and keep a good air circulation going inside your industrial plant. However, in order for your filtration system to function this way, you need to make sure that you get your filters changed regularly, and that your whole HVAC system is checked and cleaned annually. A dirty air filtration system can create internal pollution by allowing chemical pollutants, dust, molds, and other impurities to cycle and recycle into your plant’s air. Over time, these pollutants can compound, causing pollution to severely worsen. This can have serious health impacts on you and your team, and could even open you up to legal liability if one of your employees becomes ill or injured. Make sure you’re avoiding internal pollution by checking your air system regularly. This entry was posted in Uncategorized on January 15, 2017 by 11688097. British Retail Consortium (BRC), and 3-A Sanitary Standards, Inc.
risk of production shut down. steam in the industry and your facility. work surfaces and production equipment. of large amounts of water and rust that typically contaminates the lines after refrigerated drying equipment. produce high flow rates at a lower pressure loss, minimizing energy consumption. holding area than non-pleated media. that corresponds to the lowest-efficiency point of most depth filters. to clean and sterilize vats, mixers, conveyors, and other equipment used in the food-production process. create additional opportunities for contaminants to enter the system. particulates 10 μm in size or larger from the production line’s incoming steam source. pumps, valves and other hardware causing premature equipment failure. compliance with current regulations will help mitigate those concerns. This entry was posted in Uncategorized on January 11, 2017 by 11688097. 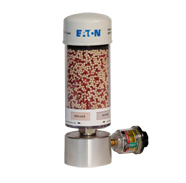 The Eaton tank breather filters “breathe” air in and out as the oil level rises and falls. The filters prevent the penetration of contamination from the ambient air in the hydraulic fluid. This circulating air contains articles and moisture that can cause corrosion, increase equipment wear, and reduce fluid performance. In typical systems, the internal hydraulic fluid is warmer than the external environment. This difference in temperatures causes water vapor to form. Breathers protect your hydraulic system by filtering out damaging moisture and particles.